Kansas City Chiefs player shoots girlfriend before turning the gun on himself on Saturday morning. 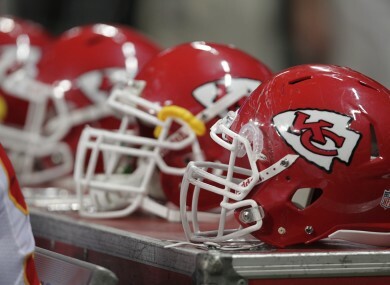 Police have confirmed that a Chiefs player has died of a self-inflicted gunshot wound on Saturday. KANSAS CITY CHIEFS linebacker Jovan Belcher fatally shot his girlfriend early Saturday, then drove to Arrowhead Stadium and committed suicide in front of his coach and general manager after first thanking them for everything they had done for him, police said. Belcher was a 25-year-old native of West Babylon, N.Y., on Long Island, played college ball at Maine. He had played all four of his NFL seasons for the Chiefs and played in every game each year, including the 11 so far this season. Before turning the gun on himself, Belcher thanked Chiefs general manager Scott Pioli and Romeo Crennel for all they had done for him, police spokesman Darin Snapp said. Snapp said a call was then received from the Chiefs’ facility. “The description matched the suspect description from that other address. We kind of knew what we were dealing with,” he said. The player was “holding a gun to his head” as he stood in front of the front doors of the practice facility. Snapp described the girlfriend as in her early 20s and that she and the player had a child together. He said the woman’s mother told police they had recently been arguing. Arrowhead Stadium has been lockdown since about 8 a.m.
Kansas City is scheduled to host the Carolina Panthers on Sunday. The league has informed the Panthers to travel as scheduled because the game would be played as scheduled. They’re just 1-10 and mired in an eight-game losing streak that has been marked by devastating injuries and fan upheaval, with constant calls the past few weeks for Pioli and Crennel to be fired. Things have been so bad this season that Crennel fired himself as defensive coordinator. The Chiefs have been ravaged by injuries, led the league in turnovers, can’t settle on a quarterback and are dealing with a full-fledged fan rebellion. The Twitter account for a fan group known as “Save Our Chiefs” recently surpassed 80,000 followers, about 17,000 more than the announced crowd at a recent game. If you have been affected by the issues discussed in this article please call Aware at 1890 303 302 or the Samaritans at 1850 60 90 90, or email jo@samaritans.org. Email “Updated: NFL player involved in double shooting named”. Feedback on “Updated: NFL player involved in double shooting named”.